A few years ago, my daughter and I went on a tour of Arlington National Cemetery. It was truly an inspirational tour. Years later, I still (literally) get goose bumps thinking of the many, many cemetery headstones, all belonging to men and women who have served in our country’s armed forces. It is truly a humbling experience. About a month ago, I was able to watch a documentary called Arlington: Call to Honor (on the Smithsonian channel) about Arlington National Cemetery. It is a really good one-hour show. (The show will be played tonight at 9:00 and midnight – Eastern.) It features the young men who take care of Arlington’s burial ceremonies, and shows just how special these special armed forces men are… from taking care of the horses, to shining the bridles, to having to mask their feelings of sorrow as they inter yet another person at the cemetery. I know we should always strive to remember all of those who have given so much of themselves to keep us all safe. But, I also know that life is hectic and hurried. And because of this, I am glad that we have Memorial Day each year – so that we can think about those who have given so much for all of us! Hear, hear. Arlington is a special place; you cannot help but be touched by it. 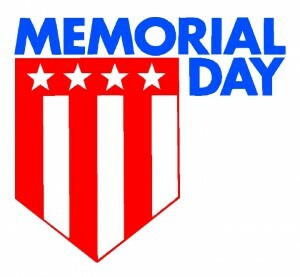 A thanks to all who have made Memorial Day possible. Brenda, I am so sorry for your loss. I cannot imagine enduring this type of pain. Memorial Day truly is a great holiday… so that we can all say thank you to those who have made the ultimate sacrifices for all of us. Thank you.